Set of 3 Australiana Bibs. This set of 3 Australiana Bib set includes your choice of any of our Australian Designs. 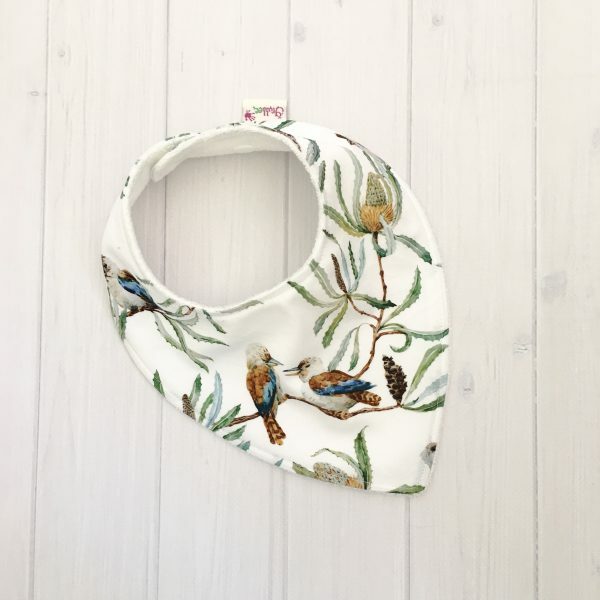 Our Australian bibs are made using gorgeous fabric designed by Australian artist Lauren Kelly, printed in Melbourne on beautiful Cotton Como fabric and then sewn by me in my home studio. Aussie made, through and through. They are backed with a bamboo/organic cotton terry towelling (sourced from our Australian supplier) which makes them soft and absorbent and gentle on the skin. 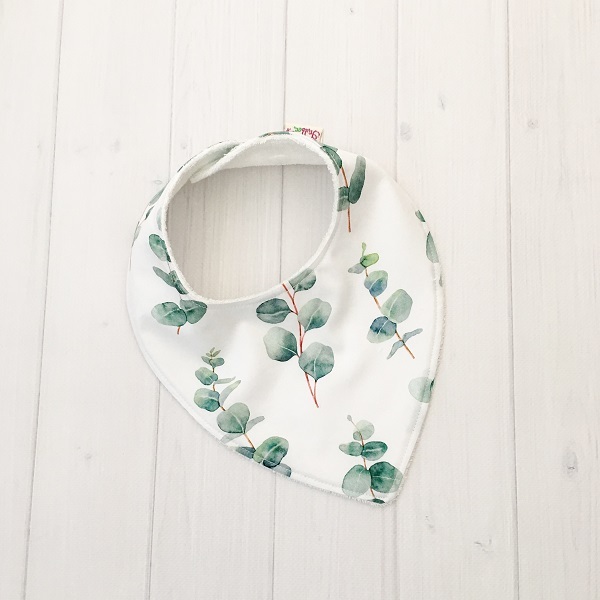 Each bib includes 2 industrial strength resin snaps, making an easy fit from birth to toddler. Our Bibs are available in both Dribble and Traditional bib style. Make your selection from the drop down menu. Please note, if you choose to mix the styles, you must provide a description in the notes section when checking out. E.g. 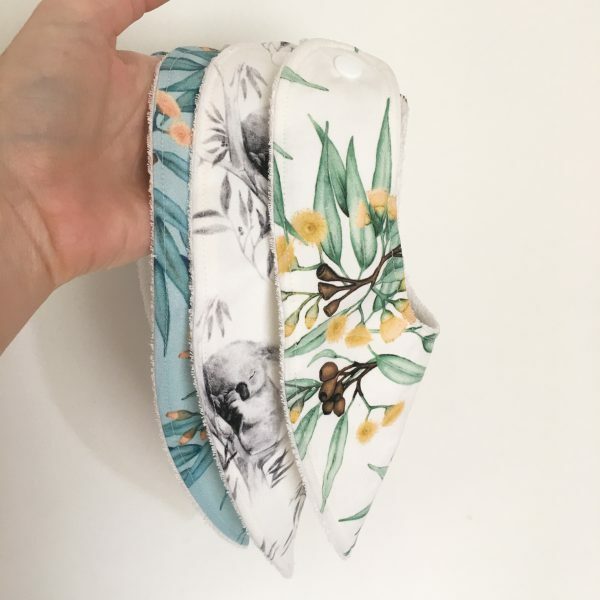 One Koala Dribble Bib and one Eucalyptus Dribble Bib plus one Blue Gumnut Traditional Bib. Please leave your preferred fabric option in a note at checkout, otherwise a random selection of prints will be made for you. They’re all lovely, so you can’t go wrong! Como is constructed as a Warp Satin weave, which gives it a soft luster to the surface and a smooth luxe finish. Weight 150GSM. It is made from 100% cotton.